Tony will bring a screen for the Jamboree film. Ted will bring the Scouts Canada marquee and hang the banner on it. Navy Hall will be opened at 17:00 for setup. At 19:00, Bill C. will formally welcome everyone to the reception. Scouter Joseph Grittani will run the reception/media tent. The shelter marquee for the guests is stored inside the fort. George will arrange to rent 100 chairs. The Scout Brigade will have a sound system setup. Ted will arrange for a podium and mike stand. Ted will check that the 1955-uniformed members of the honour guard will be wearing shorts and knee socks. Tony will confirm with the piper. Cogeco TV will cover the unveiling and the parade. George reported that the event could be videoed for $900. There would be additional costs for editing and production of a video. The committee was supportive of videoing the ceremony and banquet. Ted will follow up regarding parking metre covers to reserve a spot for parade viewing. Ted has ordered a large banner to be carried in the parade. Bill C. has arranged for the Lord Mayor of Niagara-on-the-Lake to give a 12 minute keynote address at the banquet. Al will thank the Lord Mayor. The Pillar and Post, Chicago Room has been reserved for the after-dinner soiree. The committee will meet at 13:30 on Sunday at the Epicurean restaurant to wrap-up and evaluate the event. Ted had brought some cards printed with the painting "The Spirit of Scouting" which will be used for thank-you cards. It is hoped that the committee will be able to arrange a National Historic Monument for 2007. The web site domain will be renewed for 10 years. 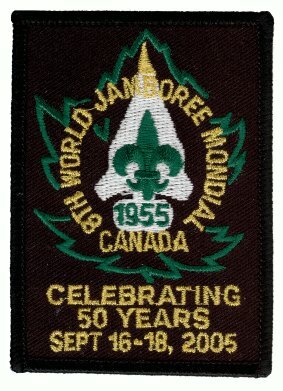 The web site will remain as a record of the Jamboree and to provide visitor information for the monument.